Taiwan is such an auspicious base to dive. 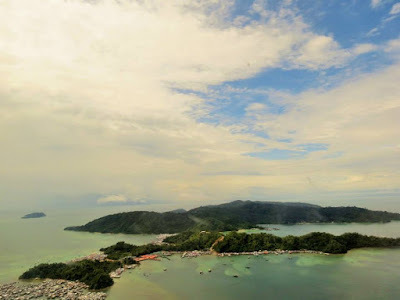 It's a subtropical island., with its own islands, archipelago and off shore reefs. There are also direct budget flights to some amazing diving destinations in Asia. It’s a pretty penny to always pay for my kid’s “Discovery” scuba dives as she isn’t certified. Her first discovery dive was part of my 40th birthday present to myself, she was 9 years old. It was an easy shore dive in Sabah, Borneo, at the islands nearest Kota Kinabalu. but she really wasn't relaxed and didn't descend, barely just under the surface. Fortunately, she didn't quit and had some positive experiences when we went to Bohol for CNY 2016. Now that she’s 12, it’s time for her to get her PADI Open Water certification. The question is where? The plan is assuming this is the cheapest way, is for my daughter to do her PADI eLearning ($202) written work at home and then do her diving skills test later in summer. There are budget-friendly, ideal options in neighboring Asian countries. I have a summer holiday coming up and we can kill birds with 2 stones, or 3 stones if I decide to get my EFR (Emergency First Response, around 4000 NT) that would go towards my PADI Rescue cert. So the destination’s diving season would have to be at this time as well. In terms of budgeting, its not just the certification costs which vary (some including accommodation, equipment, books or not) but also travel costs. The cheapest place to get certified and with direct, budget flights is in Na Trang, Vietnam. She’s never been to Vietnam and I’ve never dove there. I was actually looking to go there this year anyway, as its close and cheap, and I was thinking of just snorkeling. However, now that I am focused on diving, I've read reviews that the visibility conditions of Na Trang's Hon Mun Marine Park are just so-so because of more offshore construction and urban pollution. The diving conditions have got to be worth it, as this is isn’t either of our first dives. (I was spoiled getting my Open and Adv. 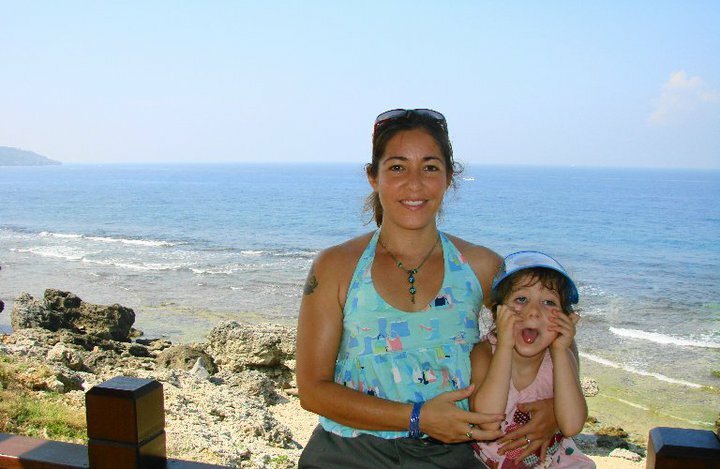 Open Water in Utila, Bay Islands, Honduras, and diving for 5 months in the Red Sea.) Traveling to Vietnam also requires visas, which cost (90 USD for both of us including stamp fees). Will we return to Malaysia for her Open Water? Cheap, direct flights with 2-3 hour land transfer exist in The Philippines, Malaysia and Thailand. In terms of prices, certification in Anilao, or Leyte is cheap and conditions good. 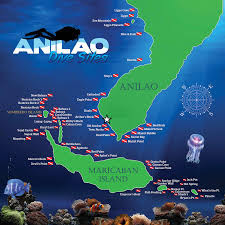 We could also return to both Anilao or Bohol as our diving experiences there were so wonderful and we barely scratched the surface at either place. Can’t beat cheap flights to Manila from Taipei. 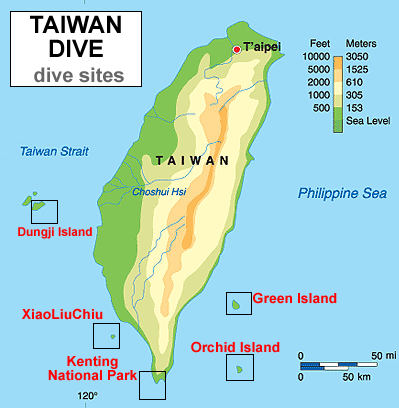 Taiwan has five major diving regions with fantastic visibility and varied marine life year-round: Kenting, Orchid Island, Green Island, Xiao Liu Qiu, and Dungji Island. 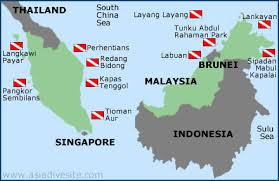 There is also a sixth diving site, closer to me in Fulong. My former coworker used to dive there all the time and had some decent videos . Unfortunately, the Taiwanese government will soon begin operating the 4th and very controversial nuclear (Lungme(龍門核能發電廠) power plant in Fulong. Sadly divers fear the beautiful lettuce coral beds there will be destroyed. Xiao Liu Qiu, just 30 minutes from Taiwan’s southwest coast, is a newcomer to the dive scene. Diverse coral reefs and walls make pleasant dives. 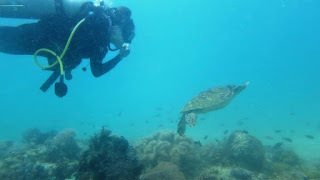 I visited here on a day trip and vowed to return for a dive because everyone I know got hang with turtles. Spotting turtles is almost guaranteed. 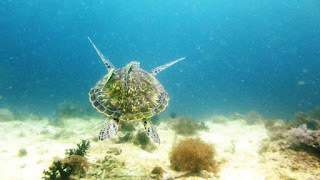 Boho:l My kid and I dove here during CNY the year before at both Panglao and Anda and had a fabulous turtle experience. The French couples running both shops were amazing and I wouldn’t mind going back. In Panglao, we dove with Carol Le Roux owner of Equation Diving. She was so patient and thorough and detailed with my daughter. She would be an excellent instructor for her Open Water. Anda will forever be burned into our memories because that was where we were when my Dad and brother told me my niece was killed. 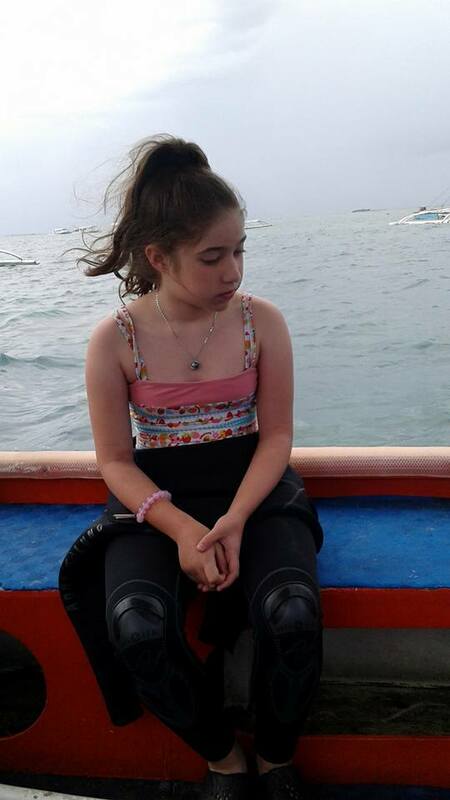 We canceled our diving plans for a few days, just shocked and immobilized with grief. Eventually, we dragged ourselves to FlowerBeach Diving, run by artist and yogini Delphine Sun and her husband. We had a long encounter with a green turtle which was meaningful because we associate my niece with turtles. If we would of had the time and money, I would of stayed in Anda for more diving and still consider Delphine and her husband as possible instructors for Z's Open Water. There are direct flights from Taipei to Tagbilaran, then a 3 hour land transfer to Anda or a closer 30 minutes to Panglao. I traveled to Palawan back in 2001, flying into Puerto Princessa and traveling up to El Nido for some stunning diving. There weren’t nearly as many dive operators as there are now. It was like 2 guys on the beach in traditional longboats and the fancy resort with its own island. I wouldn’t mind going back and seeing an old friend I met on my first trip. There are direct flights to Puerto Princessa and I can show my kid the underground cave river. The gringo trail made the land transfer to El Nido easier, as the road is now paved, and they have tourist vans to shuttle the 6-hour journey (some even including a trip to the underground river). Turtle Divers, "Serena, ☎ +63 920617532 (info@turtle-divers.com) Turtle Divers this local dive center offers Discover Scuba dives, Fun dives as well as PADI and SSI dive courses. Run by professionals with high safety standard. Good location with classroom. El Nido Adventure Scuba, Rizal St., ☎ +63949-9108460 (info@elnidoadventurescuba.com) 7:30-21.00. 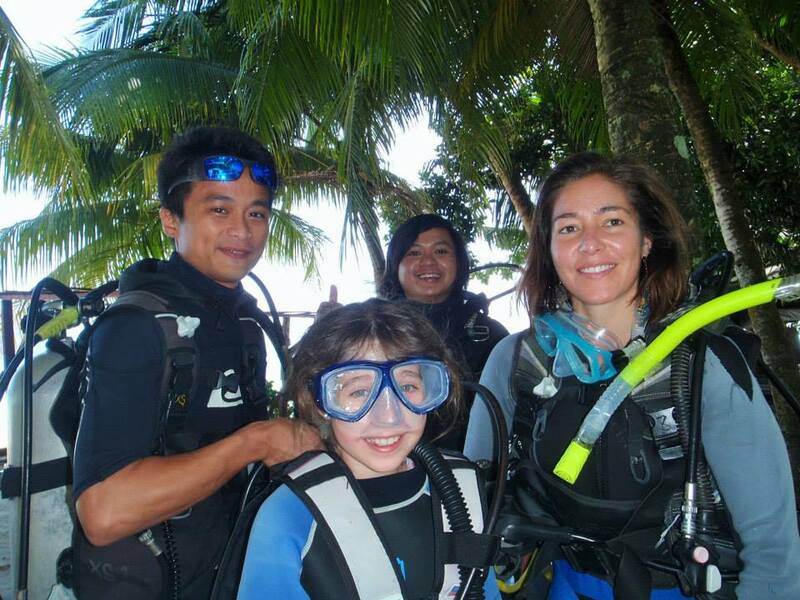 Dive with the "locals" and most experienced dive masters in the area. 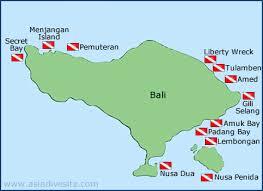 SSI and PADI open water and advanced dive courses are offered. There is some fine diving in Jemeluk Bay both from the beach and from boats in deeper water. After a gentle slope out from shore, the wall here drops off dramatically to depths of 40 m plus. The coral is healthy and fish life abundant. There are some good drift dives further east at Selang and Bunutan but these are generally only suited to more experienced divers. Dive Season: April-October. 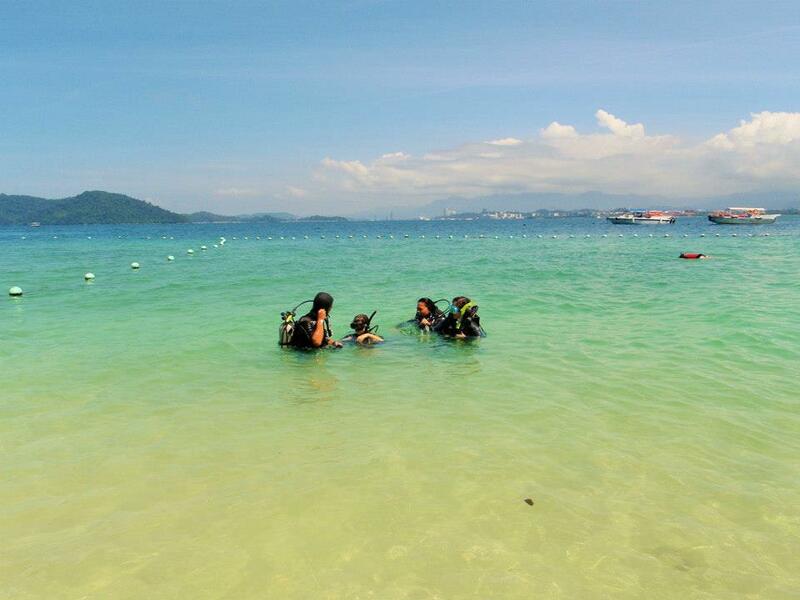 A single dive on Perhentian Kecil costs around US $23; prices go down to US $20 if you do more than four dives. 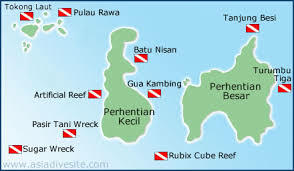 Some popular dive sites such as the famous Sugar Wreck, Temple/Pinnacle, and Rendang Island cost more because of the extra effort required to get there. Night dives are more expensive, starting around US $40. Strangely, beach dives cost the same as boat dives on Perhentian Kecil. Getting there: KL fly to Kota Bharu. Once in Kota Bharu you can either take a one-hour taxi (maximum of four people) from the airport directly to Kuala Besut -- the port town -- or take a public bus to Jerteh and then on to Kuala Besut. In Kuala Besut you must purchase a round-trip speedboat ticket for US $23. The boat takes around an hour to reach Perhentian Kecil. There is no jetty on Long Beach, so you must transfer to a smaller boat (and pay an additional US $1) to be brought onto the beach. Plastic a problem? Quiver Dive Team A PADI 5-star IDC center located in Coral Bay on Perhentian Kecil offering all types of dive courses (Bubblemaker, Open Water, Advanced Open Water, Rescue Diver, Divemaster and Instructor). 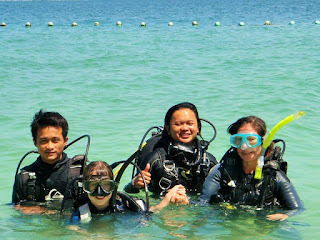 Fun dives cost RM80 (for students who complete a course RM75). Night dives RM140. 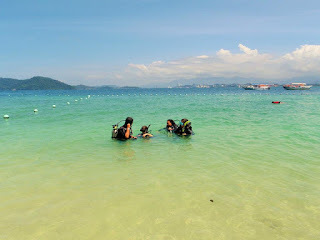 A full day dive safari to neighboring Redang island with 3 dives including buffet lunch costs RM380 (minimum 4 divers required). Na Trang Vietnam April to August when diving is at its best and demand is low. During this time, discounts are available on already low diving and accommodation rates. Close off-shore from Nha Trang sit a series of islands that offer decent diving and snorkelling, easily accessible by day trip. The city has about two dozen dive shops, making for fierce competition and great value. For certification training, Nha Trang offers perhaps the best value in the world, with PADI open water courses available with full equipment rental for as little as US$250. A two-dive boat trip with equipment rental and modest lunch can be had for as little as US$45, also a phenomenal value. Coastal and undersea construction has stirred up a lot of sediment in the area, so under-water visibility is sometimes not great. The area is heavily fished, so fish life is also limited. You wouldn't cross the world just to dive at Nha Trang. But if you always dreamed of getting a scuba certification, Nha Trang is a great place to do it, and any diver passing through would enjoy a couple of dips. The shops generally offer good-quality equipment and experienced, certified dive-masters. Diving goes on year-around, but in the October-December windy season, the boat ride can be a bit rough and diving is limited to a few sites in the lee of the islands (PADI website). 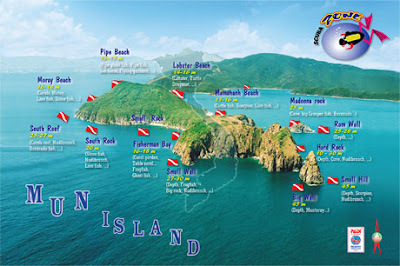 VinaDiving - Vietnam Dive Center, 23D Biet Thu, ☎ +84-918.98.4049 (, fax: +84-918.98.4049)07:00 - 21:00. Running since 1997. 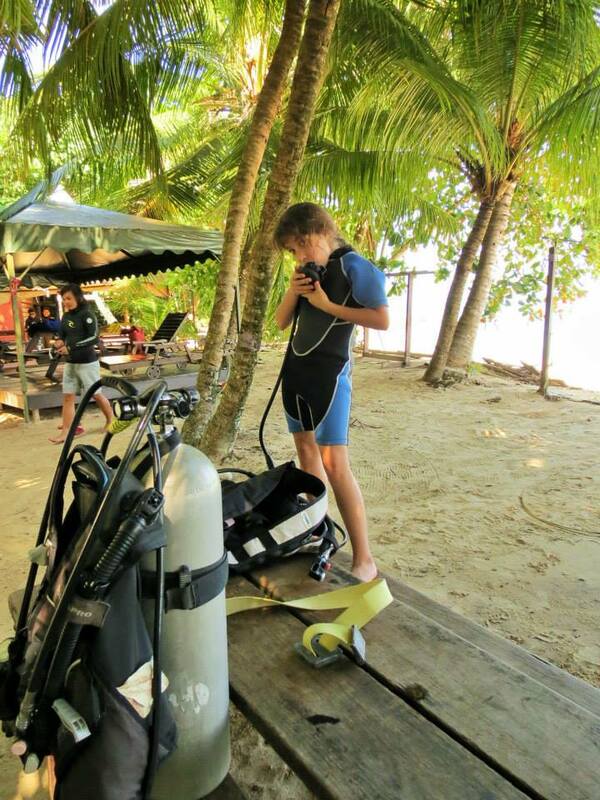 As known as Vinadive, services from Snorkeling and scuba diving to professional PADI and SSI courses. $60 for TWO Dives (non-certified divers, $45 for TWO Dives (certified divers), $18 for snorkeling. Safe, friendly, professional and fun. Aloha Mark Scott's Diving Vietnam, 24/4 Hung Vuong, ☎ +84-122-903-7795 (MarkBrianScott@gmail.com), . 06:30-21:00. is an American owned company.Very fair prices and services from Snorkeling and Introductory dives to Instructor courses. $75 for TWO dives (with certification) and $90 for two Introductory Dives. The Boat has plenty of room for lounging and Never Rushed. American English spoken. $75-$375. Octopus Diving, @ Louisiane Brewhouse, 29 Tran Phu., +84 58 352-1629, Dive Vietnam with Octopus Diving. We are Vietnam's longest running PADI Five Star Dive Centers offering a full range of high quality PADI courses from beginner to professional. Fun Dives, Nitrox, Snorkelling and Discover Scuba Diving trips to Hon Mun Marine Protected Area everyday. Sailing Club Divers, @ Sailing Club Nha Trang, 72-74 Tran Phu., +84 58 352 2788, Vietnam's longest running PADI Five Star Dive Centers offering a full range of high-quality PADI courses from beginner to professional. I've been lucky enough to have snorkeled in Pankgor (East Coast), and on Tioman (West Coast) when my Z was very little. I wonder if we will return for the Perhentians? For sure Sipadan is on our list after her certification.